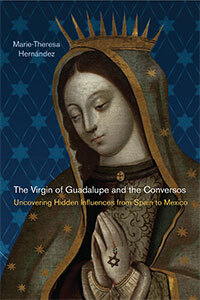 The Virgin of Guadalupe and the Conversos: Hidden Influences from Spain to México (Rutgers University Press, July 2014). Stimulated by the discovery of a trove of forgotten manuscripts at the New York Public Library that describe the Jewish/Christian religious beliefs of an early nineteenth-century Catholic priest in Mexico City, this book focuses on the relationship between the Virgin of Guadalupe and Judaism. The book traces the cult of Guadalupe backwards to its fourteenth-century Spanish origins. The trail from that point forward can then be followed to its interface with early modern conversos and their descendants at the highest levels of the Church and the monarchy in Spain and Colonial Mexico. 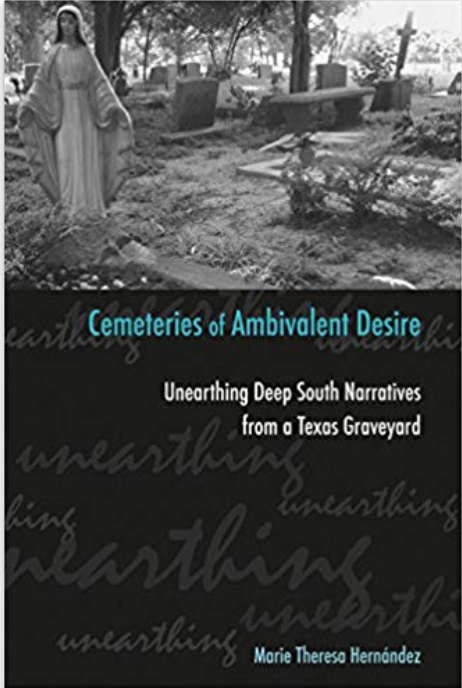 Cemeteries of Ambivalent Desire: Unearthing Deep South Narratives from a Texas Graveyard (Texas A&M University Press, 2008). Cemeteries concerns land dispute over a graveyard in Sugar Land, Texas. This story is a drop back to the history, economics, race relations, and culture of southeast Texas through the prism of the Deep South. 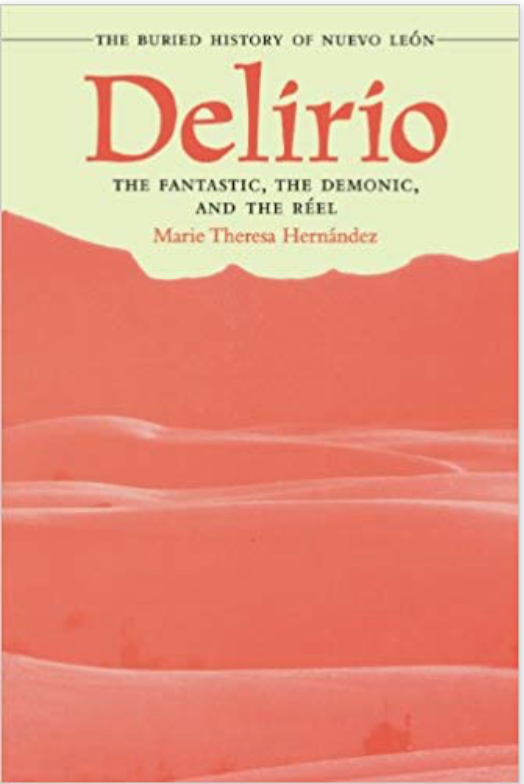 Delirio: The Fantastic, The Demonic, and The Reel. The buried history of Nuevo León (University of Texas Press, 2002). Delirio is an inter-disciplinary study of the northern Mexican state of Nuevo León, from a historical and folkloric perspective. 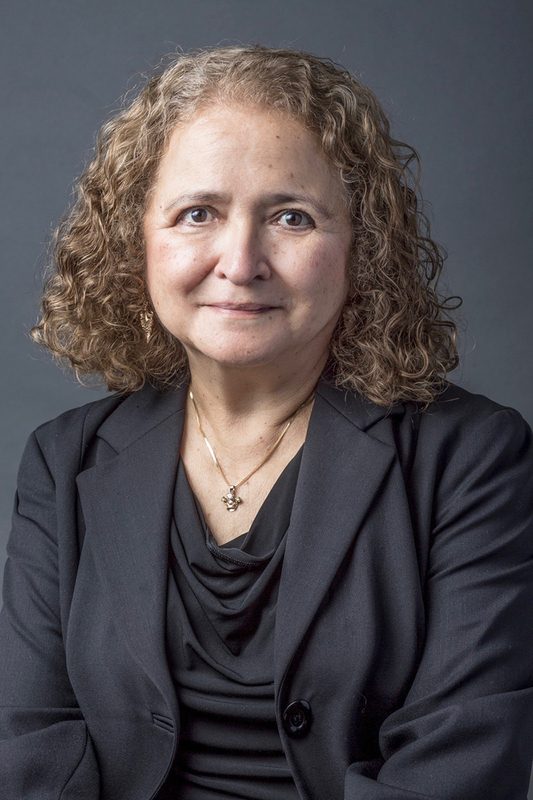 Since joining the faculty at MCL, Professor Hernández has taught courses on critical theory, comparative literature, ethnography, film, gender, globalization, and religious studies. Current research project is on folkhero/sedicioso Juan Nepomuceno Cortina (1824-1894), who violently took control of deep south Texas for a time shortly before the American Civil War. Between 1859 and 1865 Cortina's exploits were continuously followed by many U.S. newspapers. This research focuses on the "afterlife" of his narrative, and how his story influenced American ideology. My most recent book ( The Virgin of Guadalupe and the Conversos) discusses papers I found at the New York Public Library under the title Monumentos Guadalupanos. These are part of the Obadiah Rich Collection and are in the library’s archives. It has been well known that Monumentos was at the NYPL, but only a very early copy of the Nicon Mopohua (relation of the apparitions in Nahuatl) had been identified as part of the collection. He actually focuses much more on the millennium and enters a very extensive and complex discourse on the Old Testament. This discussion is so prominent in his writing that it appears his ideology was more Jewish than Christian. Upon close examination, Espinosa de los Monteros saw himself as a millennial thinker, citing others who had written on the subject, such as Antonio Vieira (17th century), Cornelius Lapides (17th century), and Manuel Lacunza – AKA Juan Josafat Ben-Ezra (late 18th century). He writing seems to have gone further in his Jewish leanings than the others, although Lacunza using the pseudo-nym Ben-Ezra is also quite unusual. Whether his close association with Jewish scholarship is due to having been from a converso background or from his interest in the millennium alone, is still not completely revealed. This will be part of my research and the focus of the book that emanates from the Monteros papers. Distinguimos en el genero humano dos clases de generaciones: la primera es aquella escogida por Dios para que de ella tomase el Verbo divino carne humana; la segunda es aquella que no co operó plenamente a este designio. A la primera pertenece ala Nacion hebrea unicamente, y la segunda todas las demas naciones del globo (sic). We distinguish humans in two clases of generations: the first is that one chosen to take the divine Word and make it into a human body; the second is that which did not co-operate with this design. The first belongs only to the Hebrew nation, and the second to all the rest of the nations of the globe. Woman see your son. I do not believe I speak of Christ as a man because he would have called her mother. Calling her Woman implies that Christ saw in her as the Symbolic Woman that is spoken of in the Scriptures, this is the Jewish Nation – that God in his sacred Books treats as if it were one person. As the Jewish Monarchy was the Woman in another time, and will be again in the future of all the nations. *the staff at the Basilica archives do know of Monteros and have published a web page describing his work in organizing and analyzing the archive.